With recent increases in insurance claims and the ensuing rise in premiums, combined with a soaring global awareness for public accountability there has never been a more important time to ensure that your liferaft complies with health and safety legislation, particularly if you are planning to go out on the water soon. Whether you work on a commercial vessel or own a yacht or leisurely boat, regular servicing and maintenance of your safety equipment, in line with the manufacturer’s recommendations will be essential to maximising safety whilst on your boat. 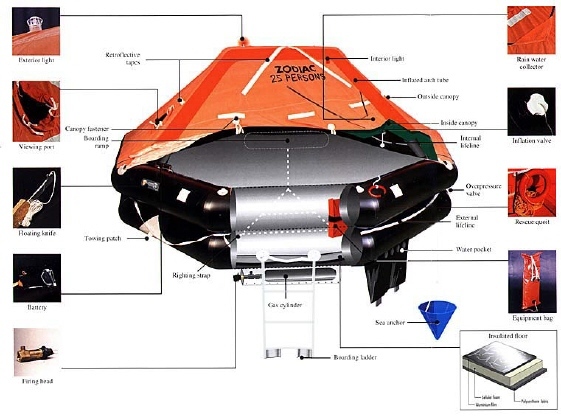 Each year, your liferafts will be subjected to a range of elements which will accelerate the natural wear and tear of the raft; therefore the only way to determine its conditions is to have it inspected. 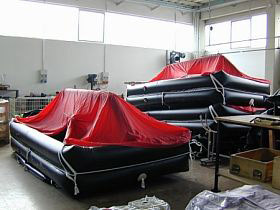 As an UK MCA approved and authorised service station, we at ADEC Marine can service all makes and models including rafts used on yachting boats, inflatable boats, dinghies and commercial marine liferafts including SOLAS and MED, ISAF, ISO and SOLAS B pack liferafts, from our bases located in Essex and Surrey. For basic survey fees for liferafts, lifejackets and immersion suits you will find relevant quotation details by clicking the relevant sections below. 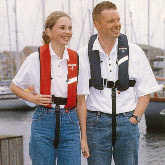 Commercial Liferaft Servicing - A pack, Open Reversibles etc..
From our Department of Transport (MCA) approved service station in Barking, Essex, which is within 15 minutes reach of all main motorway routes in the South East, we are able to offer a collection and delivery service to vessels for MCA and SOLAS approved liferafts. While we do offer a collection and re-delivery service with the UK with charges between £20 and £25, we do also offer you the option to bring in your rafts for servicing straight into our offices located in Essex or Surrey. If you think your safety equipment needs servicing due to the service date on your liferaft or would like to discuss a quote then please contact us with details of your liferaft equipment, when it needs servicing and where you are located and we will be happy to help.